Oh how I love the three day weekend. With the days getting longer all I can think about is hanging out in the yard and playing with the critters. But this weekend, this three day weekend I’ve got some big and not-so-big plans. And I have a lot of them. Fava beans need to get harvested and the plants turned in to the soil. We’ve got some major weeding to do. MAJOR weeding. I’m not even going to post a photo of the garden right now because it’s that embarrassing. Apples and pears need to get thinned and then we need to “sock” the apples. Finish hotwiring the fence. Squirrels, you better kiss that fruit goodbye ’cause you’re not getting to it ever again! Make 3 lbs of cheese. Start working on the greenhouse and figure out the framing materials we will need. Set up a new milking area (this will be the 4th or maybe the 5th iteration) and start milking Sedona. Trim hooves on the goats. Figure out what to do about the wild blackberry in our yard. Pull it out or try to contain it? And then of course the usual stuff, laundry, cleaning, animal care, farmers’ market, etc. Will I get everything done? Probably not. I’m certain it will all flow over into next week as well. 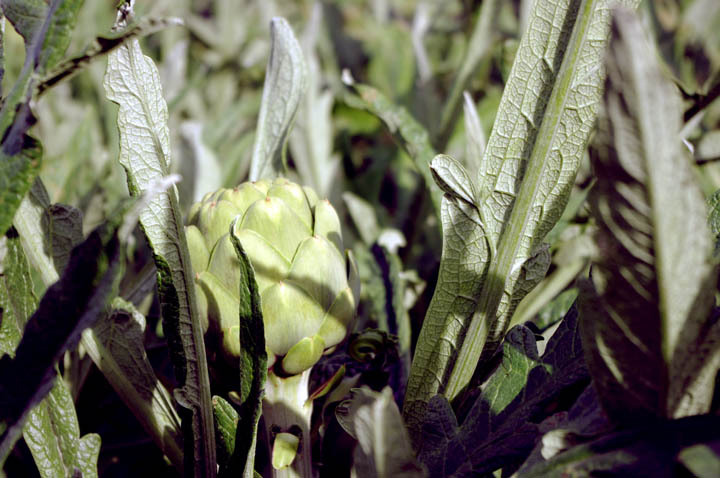 The must-do items are the cheese, artichokes, milking and apple trees. Those items just can’t wait. Of course there are many more projects we have in the plans going on including building a cob oven and outdoor kitchen, a large patio trellis, a shed, a hay storage area, and of course painting the house inside and out. ← Want to Check Out an Urban Farm? Sounds not too unlike our weekend plans! 😉 I love long weekends, as we can finally get a little caught up on our long list of things to do…not the least of which is to recheck our hive splits! As for the blackberry…our goaties are doing a fabulous job keeping the invasive blackberry vines in check. The ones they can’t reach, I just cut and carry…they love them! I knew I was forgetting something! We need to check our bees too. I’ve got some more weeding to do in my badly neglected front yard. The back is mostly weeded, but the shrubs in the backyard need to be hacked back mercilously. I personally would recommend waiting until after they have fruited to take out the blackberries. They were actually one of the great free finds at the sharecropper garden. We used to harvest buckets of blackberries – literally – when I was a young teen and I had forgotten how much I loved the free fruit. Your goatlings are adorable, btw. Glad Sedona had such an easy time of it! You are so right about the blackberries. We have some thornless blackberries that we planted but they haven’t quite hit their stride yet. These wild blackberries are farther along so at least until September they get a pass. Yes, I’ll definitely do a post on building the greenhouse! Our blackberries are so good we find it worthwhile to contain them – we’ve trellised them along the back fence. We just finished our favas, I have a second apple tree to thin, weeds for sure.. might need to pull up the flowering onions – what do you think? We organize volunteers to harvest fruit from people’s backyards, so that is what we’ll be doing Saturday morning/afternoon. Yeah, I’d pull the flowering onions. Once they begin flowering they will no longer store well. You can still use them though. I like to pull them and put them in the freezer and use them later to make stock.